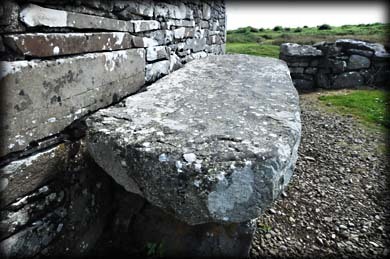 Located next to the west wall of St Senan's Bed is an ogham stone. There are only a couple of scratched letters remaining. 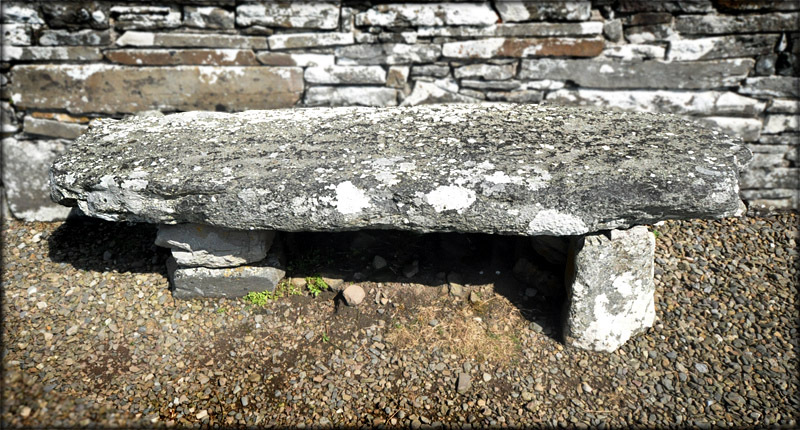 The stone appears to have been used as a seat, which may account for the worn letters. To the west of the ogham stone is the cross slab pictured below. It bears the inscription 'O~R~DOMOINACH' Pray for Moinach. Situated: On Scattery Island. Boats sail to the Island from Kilrush Marina during the summer period. Discovery Map 63: Q 9721 5265. Last visit July 2014.